We are hoping to send a significant number of UU youth and adults to the UU Association's General Assembly; an educational and inspirational gathering of nearly 5,000 Unitarian Universalists, to be held in Kansas City in June 2018. Our mission is to provide a place for personal spiritual growth, in an open and affirming community, actively promoting peace, reason, and the transformation of our world. 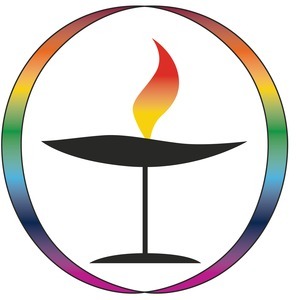 Unitarian Universalism is a faith community where you can bring your whole self; your full identity, your questioning mind, your expansive heart. We are brave, curious, and compassionate thinkers and doers. We are diverse in faith, ethnicity, history and spirituality, but aligned in our desire to make a difference for the good. We have a track record of standing on the side of love, justice, and peace.